FRANKFURT (Bloomberg) -- Volkswagen Group has been given three months by the prime minister of Lower Saxony, the carmaker's second-biggest shareholder, to provide a full account of the roots of the diesel-emissions scandal. "There is a very legitimate concern on the part of U.S. authorities, the public and the company itself for a comprehensive investigation," Stephan Weil, Lower Saxony's prime minister and a Volkswagen supervisory board member, said in an interview. "It's in the interest of VW to provide a complete clarification." Since the scandal erupted in September, Volkswagen has maintained that the cheating wasn't planned or sanctioned by top management but was rather the act of a few rogue engineers. While former CEO Martin Winterkorn lost his job and some senior engineers were suspended, other efforts to move beyond the scandal have at times appeared half-hearted. The panel overseeing the investigation is composed of insiders; Winterkorn's successor Matthias Mueller has appeared to downplay the company's guilt during a recent trip to the U.S., where the cheating was discovered; and many customers remain in the dark about how and when their cars will be fixed. Volkswagen promised last week to present a report on the scandal at the annual shareholders' meeting on April 21. The board hired U.S. law firm Jones Day to help probe the origins of the cheating. Since September, Volkswagen has also hired Daimler's compliance chief, Christine Hohmann-Dennhardt, to oversee integrity and legal affairs, while in the U.S. it mandated Ken Feinberg, who ran funds to provide restitution to victims of General Motors Co.'s faulty ignition switches and BP Plc's oil spill in the Gulf of Mexico, to run a similar program over claims related to diesel emissions. "The emission scandal has put holes into everything that Volkswagen stands for -- its strategies, its culture, its processes, its cars," said Erich Joachimsthaler, founder and CEO of New York-based brand-strategy firm Vivaldi Partners. "The worst strategy is to play for time. This reinforces negative perceptions and will draw out recovery." Weil, who is part of the six-member inner circle of Volkswagen's supervisory board, reiterated his backing for Mueller. The CEO came under pressure this month over his controversial U.S. interview and a lack of visible progress with regulators there. And even with billions of euros in fines looming, Weil assured workers that Volkswagen has the financial clout to see through the crisis without major job cuts. Lower Saxony owns 20 percent of the carmaker and is home to its main factory. "We stand by the company in good times and in bad times," Weil said. Volkswagen has said "it will stand by its core workforce, and I appreciate that. 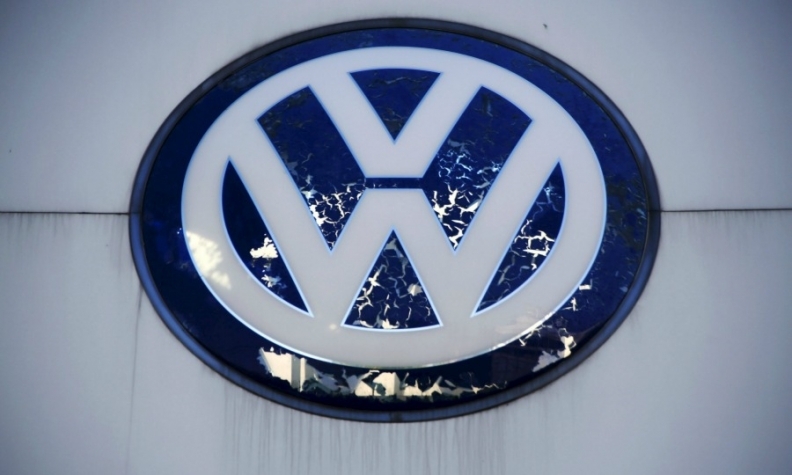 I hope VW also finds a solution for affected temporary staff." VW has said it plans to lower headcount among contract workers and save money by waiting to fill vacant positions and shifting some staff to part-time schedules, while denying that large-scale cutbacks are looming. Though the company's European recall is due to start this month, Volkswagen has yet to agree on a fix with U.S. regulators and faces fines and hundreds of lawsuits. At the same time, the crisis has accelerated structural reforms, including changes to vehicle development. "I am confident that later we'll be able to say the bottom line is, this crisis made Volkswagen stronger," Weil said.